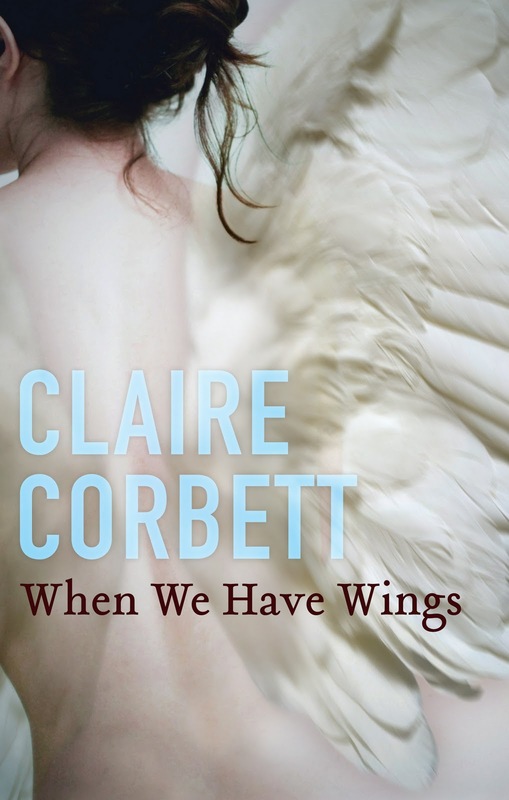 Claire Corbett is an Australian author, born in Canada, whose debut novel, When We Have Wings, was shortlisted in 2012 for the Barbara Jefferis Award and the Ned Kelly Award for Best First Fiction. Stories, essays, and journalism by Corbett have appeared in outlets as diverse as Griffith Review, The Sydney Morning Herald, Rolling Stone, and The Monthly. In When We Have Wings, Peri Almond is the live-in nanny to high-flying power couple Peter, an architect, and Avis, a fashion designer. Peter, Avis, and Peri have all been through the expensive radical surgery which equips well-to-do humans with flight-capable wings; no such option is available for Hugo, the infant son of Peter and Avis. Ostensibly concerned by Peter’s and Avis’s developing rejection of their ground-bound son, and spooked by the sudden and violent gravity-mediated death of Luisa, another winged nanny with whom she has become friends, Peri flees, taking Hugo with her. Peter hires Zeke Fowler, a private investigator, to find Peri, and to ensure that Hugo is returned safe and sound to his parents. It soon becomes clear to Zeke, however, that this is no simple abduction: Peri’s motivation for taking flight does not add up, Peter is plainly hiding something, and someone is trying to kill Fowler. Wings is many-layered and carefully constructed: a police procedural, a psychological thriller, and a SF novel. The narrative alternates between Peri’s third-person viewpoint and Zeke’s first-person perspective. The writing is resonant and elegant, and lies towards the literary end of the SF spectrum, in the company of authors such as Ursula K Le Guin and M John Harrison. But one of the things that sets the book apart from other lit/SF novels is its hard SF worldbuilding: Corbett has taken great care to make a serious and, so far as I can tell, well-researched case for human-powered flight, with consideration given to issues such as aspect ratio, stall speed, body mass, flight styles, and the subtle metabolic changes far less obvious than the grafted wings on one’s back, but equally necessary to ensure that those wings work as advertised. While it would be inordinately difficult for any novel to be able to compete with the visually compelling treatment that CGI could offer to such a theme, Wings does an excellent job of immersing us in Peri’s aerial world of cloud, sunshine, and sometimes-benevolent, sometimes-deadly air currents. If depth of background research is what sells the book as hard SF, its exploration of sociological and political ideas is probably what will cause it to linger in the reader’s mind – well, that and the ‘flying people’ schtick. The divide between those who can afford to fly, such as Peter and Avis, and those who cannot, such as Zeke, is a wide one, and there is an innate mistrust as a result. And where money and power are concerned, corruption is generally not too far behind … tied in with which, of course, is the question of just how it is that Peri, an orphan, also comes to have wings of her own. The mystery at the core of the book is well-concealed and cleverly revealed. Is there anything negative to say about the book? It did feel to me as though it had briefly lost its way around the two-thirds mark, and a couple of Peri’s decisions as the story progressed felt more narrative-driven than innate, but the characterisation is vivid and convincing for the most part. I found the chapters seen through Zeke’s eyes to be particularly well-drawn: Corbett captures the mindset of a divorced, harried, and well-meaning PI very well, and Zeke is a naturally likeable character who, still struggling with the fallout from the split with his ambitious ex-wife and the impact this is having on their young son, plainly wants the best outcome for the case, even when it remains completely unclear just what would constitute that best outcome. (Is Hugo safer with his parents, whose feelings towards the youngster are ambivalent at best, or with Peri, who obviously loves the child she’s abducted?) This is one of the questions that rankles for the book’s entire length, underneath the more immediate concerns of mystery and danger, and overlaid on a backdrop of political intrigue and the troubled interaction between technology and morality: there is a lot of subtle detail, and the world of the story emerges also as a character in its own right, and one which the reader is likely to remember. All up? This is a deep, detailed, and multifaceted story that takes a prototypical speculative fiction idea and runs with it – or rather, I suppose, takes flight. It’s graceful and thoughtful, and I enjoyed reading it.